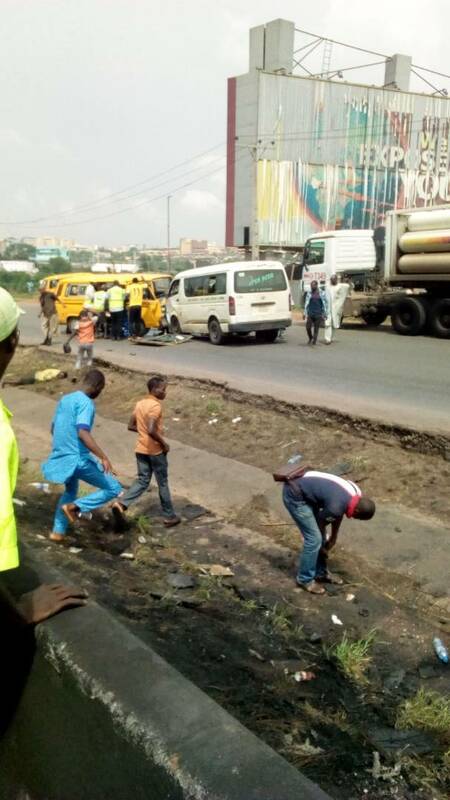 Barely 24 hours after a fuel tanker exploded on Otedola Bridge, Lagos, killing nine persons and razing 54 vehicles, another accident occurred yesterday in the same area involving two commercial vehicles. No life was lost, but about 10 people sustained injuries, and were rushed to hospital by emergency responders at the scene. 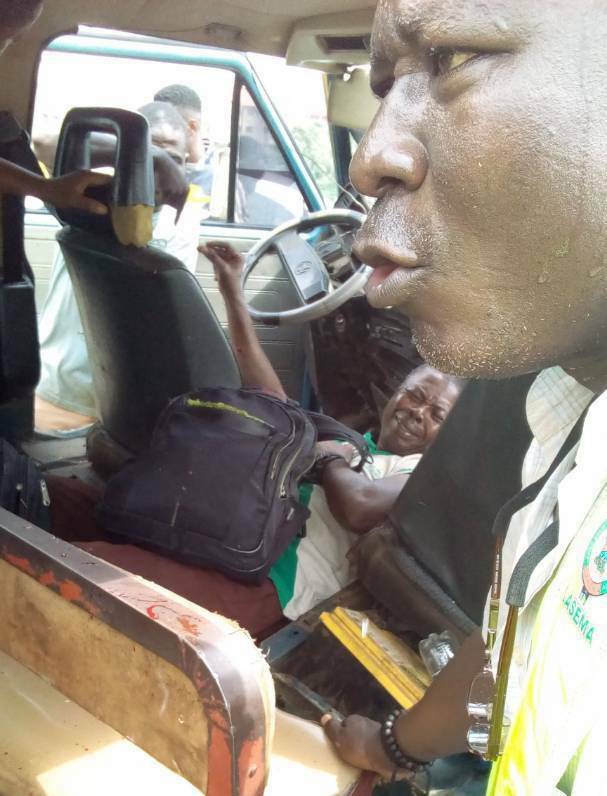 The commercial bus driver, a yellow bus and a white Federal Government of Nigeria (FGN) assisted mass transit bus, were said to be driving in opposite directions when the accident occurred. Following Thursday’s fuel truck explosion, the emergency workers and traffic agencies had blocked a section of the road to enable them remove the burnt vehicles. With that blockade, motorists from inward Lagos, who were heading out of the state and vice versa were directed to drive on one section of the road. Although the movement of cars on one lane expectedly caused a huge traffic snarl, the traffic agencies were able to control flow of traffic until the two impatient drivers ran into each other. The two drivers who were impatient had attempted to have right of way at the same time and it resulted in a head-on collision. According to the Rapid Response Squad, the accident occurred as a result of the recklessness of the Danfo driver who drove against traffic. 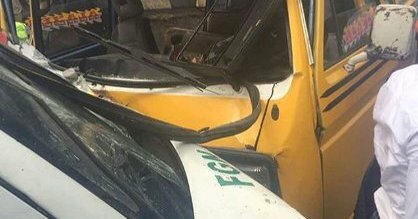 However, the accident affected the yellow commercial bus more than that FGN transit bus as it recorded more injured passengers. At the scene were emergency responders from the Nigerian Civil Aviation Authority (NCAA), Rapid Response Squad (RRS), the Lagos State Emergency Management Agency (LASEMA), Lagos State Ambulance Services (LASAMBUS) and Lagos State Traffic Management Authority (LASTMA). Meanwhile, Vice President of Nigeria, Professor Yemi Osinbajo on Friday evening visited the Lagos State governor, Akinwunmi Ambode to convey the condolences of the Federal Government to the state government on the tragic tanker explosion on Thursday at the Otedola Bridge, which claimed lives and properties. Osinbajo, who spoke shortly after a closed door meeting with the governor, noted that the Federal Government was deeply saddened by the incident, saying that President Muhammadu Buhari had delegated him to visit and commiserate with the people of Lagos on the unfortunate incident. Responding, Governor Ambode thanked the Vice President for finding time to visit to condole with the people of the State in this moment of grief, saying that it was a testament to the fact that the Federal Government was deeply concerned about the safety of lives and property of residents in the State. “We just want to say a big thank you to President Muhammadu Buhari and also a big thank you to Mr. Vice President for finding out time to quickly commiserate with us in Lagos and also with the press statement of Mr. President who is not able to be here personally but has sent the Vice President, because they feel so strongly that this kind of incident is not what should be occurring in this time in Lagos and they feel so concerned that beyond the incident, if there are other remedies that we need to do, we have already discussed on those issues that we need to quickly put in place to make sure that we do not have such reoccurrence,” he said. Governor Ambode also assured the Vice President that the situation had been brought under control and normalcy had been restored within the axis where the incident occurred, saying that all hands are on deck to prevent such incidents in future. The Governor equally thanked his counterpart in Osun State, Ogbeni Rauf Aregbesola who was also at the Lagos House to express his condolences, while commiserating with all the families who lost their loved ones as well as properties in the inferno. Speaking earlier, Aregbesola commiserated with the government and people of Lagos State, particularly those who lost their loved ones and properties to the tragedy.